In this 5-day course engineers will get acquainted with fatigue & damage tolerance evaluation. 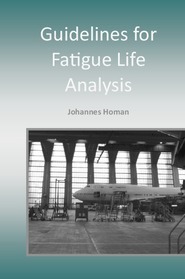 Although the damage tolerance part is dedicated to aerospace engineering, the topic is quite well applicable outside aerospace. The participants will learn the basics and fundamentals of fatigue and fracture mechanics and the methods and tools for fatigue & damage tolerance evaluation. Course fee: € 1595 (excl. taxes).